Supreme Courier & Delivery LLC is here to keep your business on time. Click "Delivery" to see our cost-effective rates and contact information. Based in the Portland Metro area, we are committed to offering courier & delivery service of the highest standard. 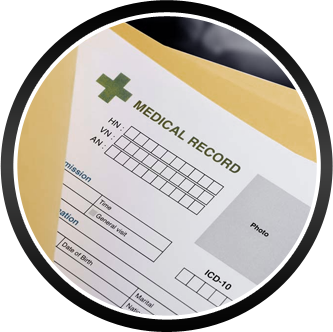 We specialize in transferring secure medical documents, HIPAA protected material, time sensitive documents, small equipment and more from your location to anywhere in the Portland Metro area on a one time or recurring basis. Customer satisfaction is our top priority; with professionally dressed couriers for all work environments and secure lock bags for transporting sensitive documents. Ensuring that your packages are properly handled, from pickup to their final destination. 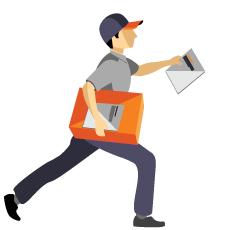 Do you need a courier that offers scheduled delivery service? Along with our same day, standard and rush delivery options, we also offer customized, routine delivery and courier services to businesses that have daily, weekly or monthly demands. All Deliveries are transported via our fleet of hybrid vehicles, providing the highest level of service at a low cost to your business and the environment! All HIPAA protected documents and other sensitive items are secured in lock bags to ensure safe transport from pick up location to its destination. Protect your business and clients, by preventing vital information from getting into the wrong hands with Supreme Courier & Delivery LLC.